Extend Your Reach – To Africa! Guinea: Currently suffering from the devastating Ebola virus, this West African nation needs help only God can bring. Over and over the plea for help comes from those who know that the word of God, once received, will make an eternal difference for so many. 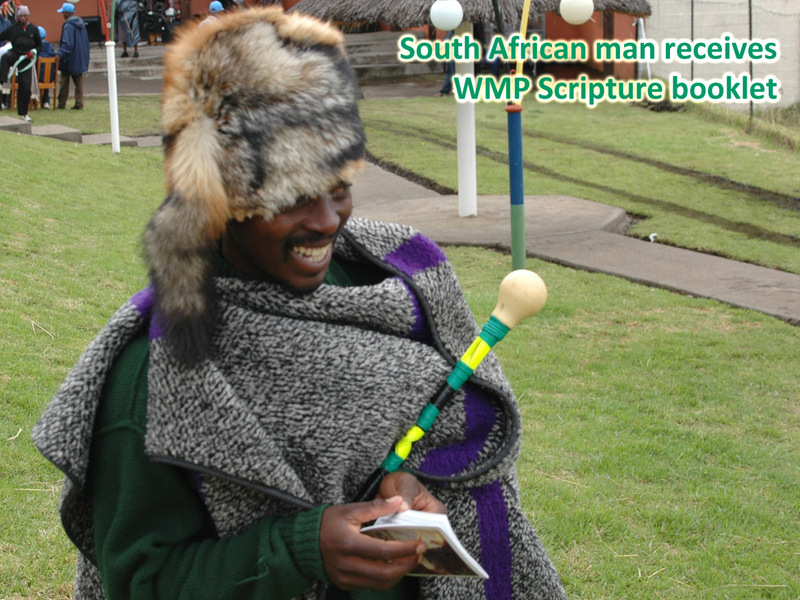 WMP distributors have pledged to go anywhere to bring physical comfort and aid and share the word of God. To answer the call, WMP is preparing a shipment of literature in Arabic, English and French to reach throughout Guinea. This shipment of over 1 million pieces of literature will cost $51,200 to print and ship. 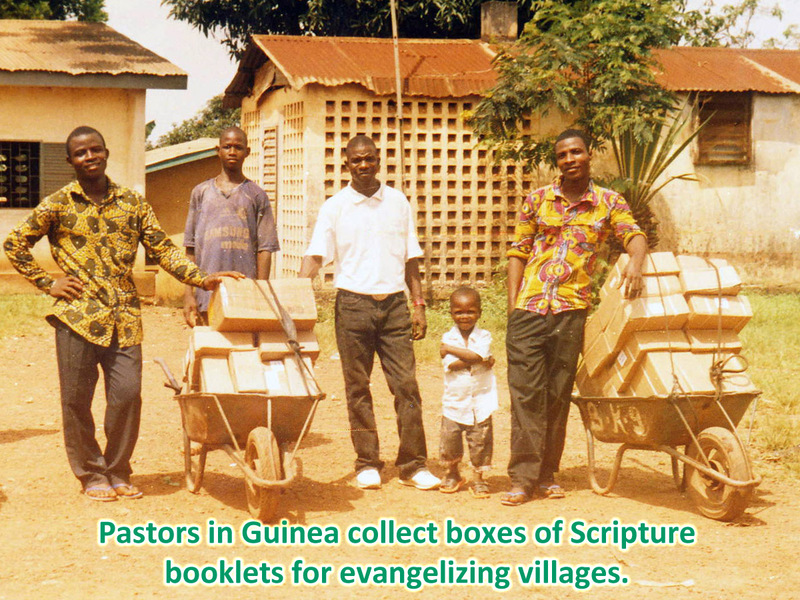 A donation of $500 will reach 12,500 people with one Scripture booklet. You Can Help! Chad: This African nation of 11 million people has been torn by violence and corruption, leaving poverty and misery. With a mainly Muslim north and Christian south, Chad is like many nations in North Africa, a challenge to the church to stand firm and to share the truth of God’s word with all those who have no hope and no peace. WMP has partnered with teams in Chad to take the gospel to every home. 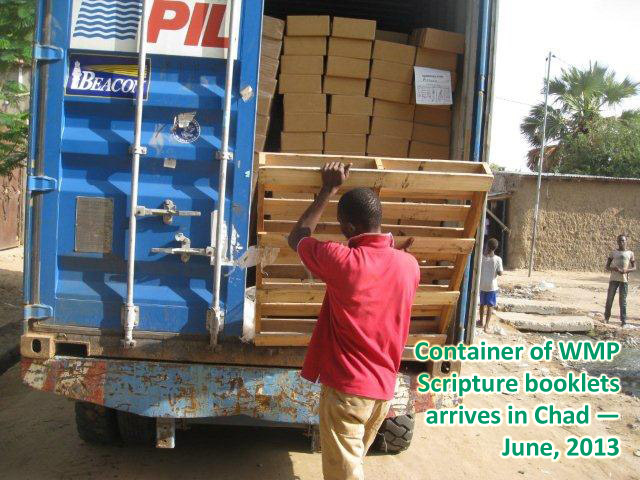 A new shipment of 1.5 million New Testaments, Scripture booklets, Bible studies and coloring books in 5 languages is scheduled for early 2015. A donation of $20 will take a Scripture booklet to 500 homes. You Can Help! South Africa: Peter Hammond and Frontline Fellowship of South Africa recently took 11,000 WMP Scripture booklets into a remote area of Congo to serve the suffering church. 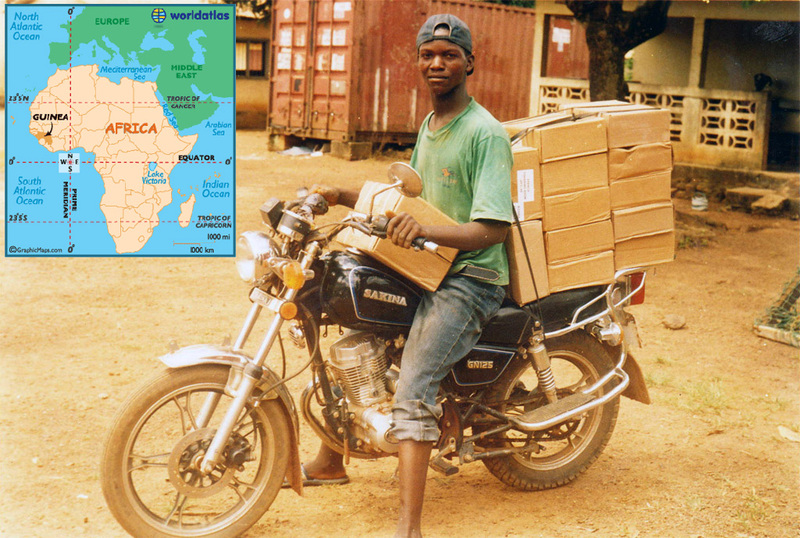 Frontline has used WMP Scripture booklets throughout Africa to train, equip, and evangelize. Teams face danger, persecution, and resistance, but they also find needy, open hearts and faithful believers. They find WMP booklets compact in size and message, ideal for long term trips into jungles, mountains, and bush. For upcoming mission trips they have requested 350,000 booklets in 27 languages. The cost to print and ship this invaluable material is $14,320. You Can Help! 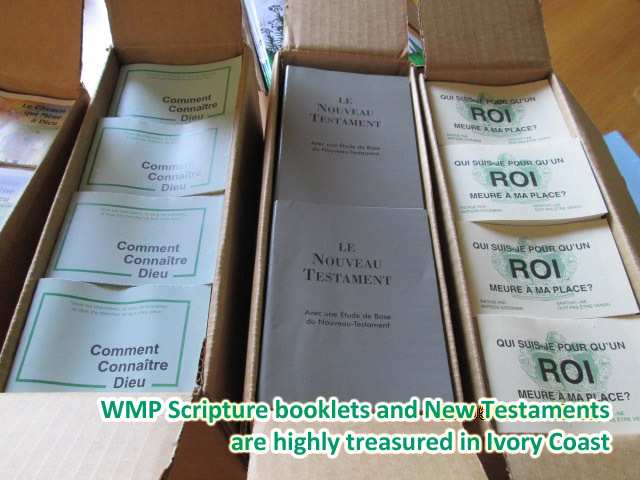 Ivory Coast: The main distribution point for WMP literature in Cote d’Ivoire is located near a university. Christian students often come to request WMP booklets for evangelism among their fellow students. Every day churches and evangelists contact our national coordinator for Scripture booklets and Bible study books. Soon the supply is gone and they must wait for another shipment from WMP. They are now waiting for the next shipment which will provide 1.6 million pieces of literature in Arabic, Bambara, and French at a cost of $84,300. A donation of $2 will provide 50 Scripture booklets to be shared with questioning students. You Can Help! Mali: In rural areas of Mali, many people still hold to occult practices and traditional beliefs such as ancestor worship. The people of Mali generally practice some form of religion. WMP partners are taking the truth of the word of God into these regions, going home to home and speaking with people face to face, proclaiming that Jesus is Lord. 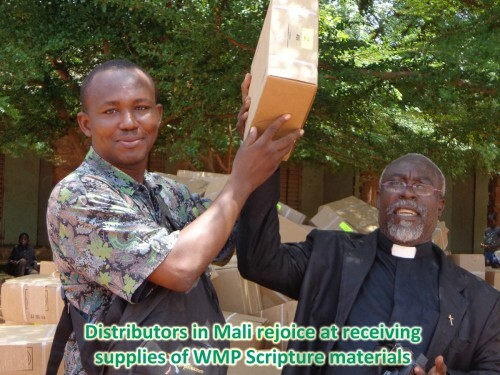 To help shine the Light into this darkness WMP is preparing a container of 1.2 million Scripture booklets, Bible studies, New Testaments and coloring books, including almost half a million Way to God booklets in Bambara, a major language of Mali. A donation of $1,000 will provide 25,000 of these booklets. You Can Help!